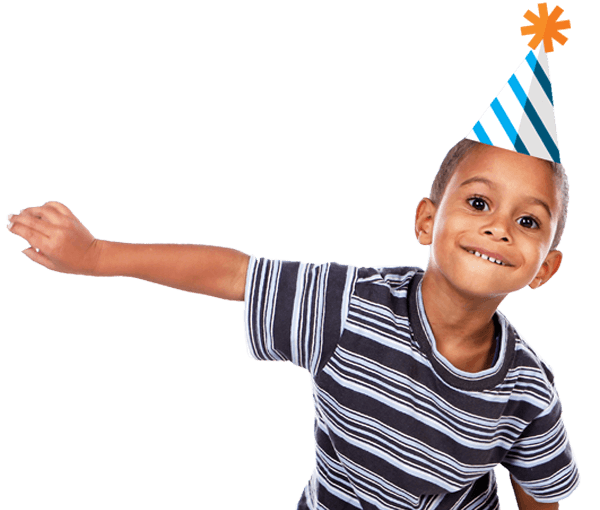 Host your next birthday party at Playworks! If you’re looking for an exciting place to host your child’s party, look no further than the Playworks Atrium. Our birthday package will make your child’s day unforgettable. Ready to schedule your child’s Playworks party, filled with games, food, and fun? Plus, add your own personal touch to the party by bringing in presents, decorations, and a bakery-made cake! Want to add food to your party? Place an order through Playworks Café for a variety of great options.